Call us today to discuss your individual permitting needs. Custom pricing structures are available based on your specific location, areas of business, sales volume and types of permits needed. Discounts available for multiple services required. Surety and Insurance Products can be added to your package at competitive rates!! *Notary services provided with proper identification. Our professional services will allow you to stay on the job site while we work diligently toward expediting your commercial building permits. We will be hands on through each phase of the permitting process from submission to final approval, keeping you informed every step of the way. And when your project calls for a Contract Surety Bond, we can assist you there too! Call today to speak to a commercial permit specialist! Don't let the hassle of the building permit process cause you to go without a permit and jeopardize the value increase of your home improvements. Our professionals can walk you through the process and help avoid pitfalls and delays. Call to speak with one of our permit specialists today! 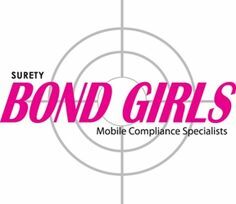 Surety Bond Girls, LLC specialize in expediting the permit process for Commercial and Residential projects. Whether you are a Homeowner, Licensed Tradesman, General Contractor or a Project Manager we understand that your time is valuable. That's why as a Georgia owned business, we'll use our knowledge of State and Local building codes and specific requirements of local municipalities to get your permits issued quickly and efficiently. We specialize in Permit Running, Building Permits Application Assistance, Code Compliance Research, Permit History Research and After the Fact Permits.